Some ESM networks allow a juror subscriber to determine the identity of the viewer. This Committee concluded that a lawyer who uses a shared ESM platform to passively view juror ESM under these circumstances does not communicate with the juror. The lawyer is not communicating with the juror; the ESM service is communicating with the juror based on a technical feature of the ESM. This is akin to a neighbor’s recognizing a lawyer’s car driving down the juror’s street and telling the juror that the lawyer had been seen driving down the street. In sum, a lawyer may passively review a juror’s public presence on the Internet, but may not communicate with a juror. 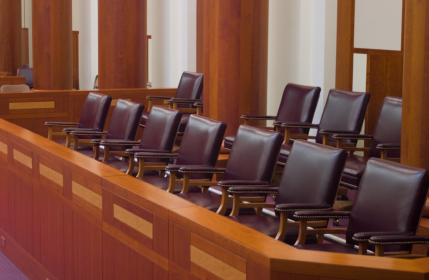 Requesting access to a private area on a juror’s ESM is communication within this framework. The fact that a juror or a potential juror may become aware that the lawyer is reviewing his Internet presence when an ESM network setting notifies the juror of such review does not constitute a communication from the lawyer in violation of Model Rule 3.5(b). If a lawyer discovers criminal or fraudulent conduct by a juror related to the proceeding, the lawyer must take reasonable remedial measures including, if necessary, disclosure to the tribunal. This opinion was formed by the ABA’s Standing Committee, so you should not rely on it. It may be a helpful guide if you find yourself in this situation, but you should review any Washington opinions on this subject.